10 in. Traditional Bear with varsity jacket. 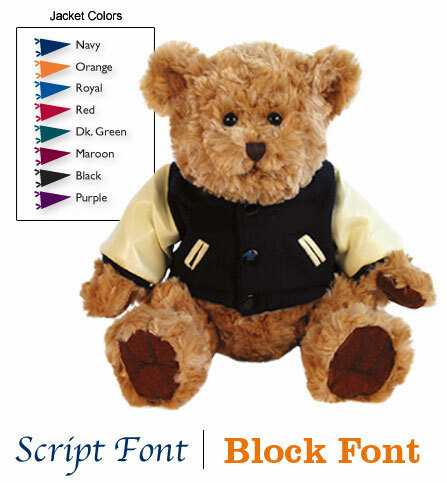 Our 10" Traditional Bear is made of the softest fabric, making it the bear you wont want to stop hugging. This is one of our most popular designs, who is sure to score big with you! He comes with a varsity jacket in your teams colors. A great way to show your spirit!